Camping La Forge de Ste Marie er en campingplads i Thonnance-les-Moulins, Haute-Marne, beliggende i et skovområde og ved en flod/å. Denne terrassecampingplads har pladser der er afmærkede, med skygge, uden skygge og pladser med en smule skygge.Det er muligt at leje mobil homes og lejligheder. Campingpladset har en legeplads og et sportsområde. For den sporty feriegæst har campingpladsen udflugtsprogrammer, vandreture med guide og forskellige cykelruter.Der er et underholdningsprogram.For dem, der ønsker at slappe af efter en travl dag, er der en whirlpool på pladsen.Campingpladsen har en opvarmet indendørs swimmingpool og et børnebassin. Denne inspektør besøger hvert år Camping La Forge de Ste Marie og inspicerer campingpladsen ud fra omtrent 200 faciliteter og andre fokusområder. Inspektøren arbejder for ACSI og arbejder altså ikke for campingpladsen. Beautiful situation, friendly and helpful staff, nice bar and restaurant, tghoroughly recommend it. Loved this campsite, our first stop from England. Rural so nothing around. Set by small lake and woods. Restaurant in converted barn, enjoyed the food and local wine. Family run and very pleasant. Lots of information. Toilets need a refurb. Indoor pool fabulous. Very pleasing looking site. Great for walking and cycling. Would visit again when weather is better as it rained all the time we were there. The chalets look wonderful. Recommend. Great site for dog walking, food at restaurant can be taken back to van. Site pleasant and well laid out, good sized pitches, staff excellent, were really helpful when we had a problem with our van, they translated our problem over the phone to the garage enabling us to get a workshop appointment that same day. Really good garage, C.L.C Saint Dizier full set for all camping cars. Very helpful staff. Excellent site. We had a pitch by the river overlooking the restaurant. Restaurant food excellent. Staff very helpful and friendly. Would have loved to use the excellent pool but forgot my costume. When they had a problem with the facilities a letter was delivered to every camper and another when the problem was resolved. A nice touch as usually you only find there is a problem when you go to use something by a not stuck on the door. All in all a first class site. holiday homes and gites around the service facilities. Super heated indoor pool. Multi-lingual. Vil du booke Camping La Forge de Ste Marie eller have yderligere information? Det kan du via nedenstående oplysninger eller via campingpladsens hjemmeside. Fra Joinville via D60 til Thonnance-les-Joinville (2 km), så via D427 gennem Poissons og Noncourt mod Thonnance-les-Moulins (10 km). 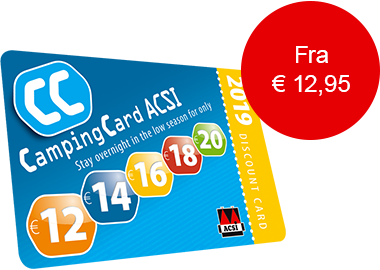 ACSI Eurocampings sender din forespørgsel videre til "Camping La Forge de Ste Marie".